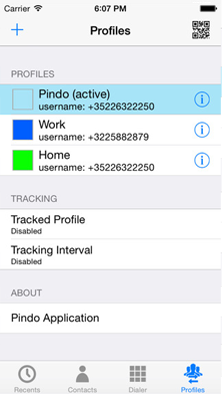 Pindo started with our need to use our current voip solution on mobile phones. We just did not want to show our mobile phone number when calling customers or even worse and hide our caller-id. We wanted to present the same business number that we use in our office. 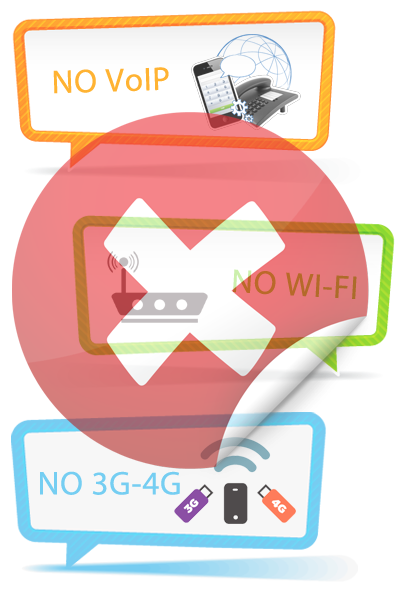 We tried every possible voip app but the conclusion remained the same. It sometimes worked and sometimes not. For our business needs this was just not acceptable. We needed stable working solution. We noticed that these apps were using up to 3 times more battery than a normaly, or the smartphones were constantly switching between Wifi, 3G, 4G and the situation is even worse when moving or driving. Our idea was to transform a voip call into something that is proven. So we decided to use a normal mobile call but not to the destination number but to a fixed line number attached to one of our servers. Some might argue that data is cheaper but it really depends which mobile contract you have. National flatrates or plans with a big amount of fixed line minutes are available for any budget. Technically we combined the idea of a normal mobile connection with a very little data packet sent before the call starts. The single data packet has all the information our server needs to forward the mobile call. We can now present our business number and as a positive side affect we benefit from low international rates. I show my office number when I call someone even while playing golf. I prefer to keep my mobile number private, but I can call from my smartphone and show my office number. Finally when customers call me back, they reach our office and get a professional phone reception. When the discussion becomes important, I just push 99 to record the call and can listen to it later when I have more time. I save lots of money when calling my family, voip providers offer the best international rates. I am a voip provider, can you include me in your predefined list of providers? Please contact us at info@pindo.me. This should not be a problem. 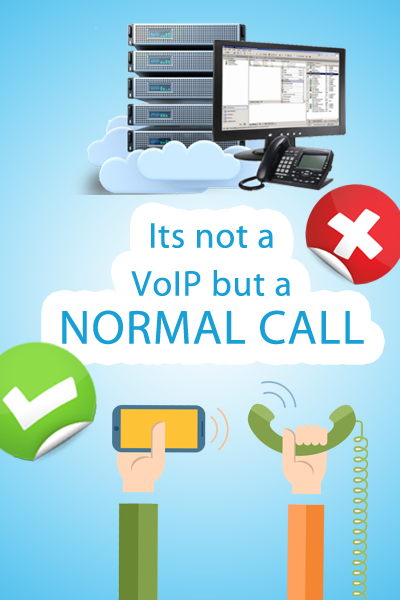 Can you recommend a voip service? Pindo tries to be neutral on this point. Any decent provider supporting the SIP protocol should work. If you don't have prefferences you can install the app, and it will set everything up for you. Roaming is complex and we hope that the European Union will at least solve it in Europe very soon. If you stay for a longer time in a different country we recommend to buy a prepaid card or a short term contract at a mobile provider. After all, with our app it does not matter which SIM card you have, as your voip service provider will show the caller ID of your choice. Do you do app customization? 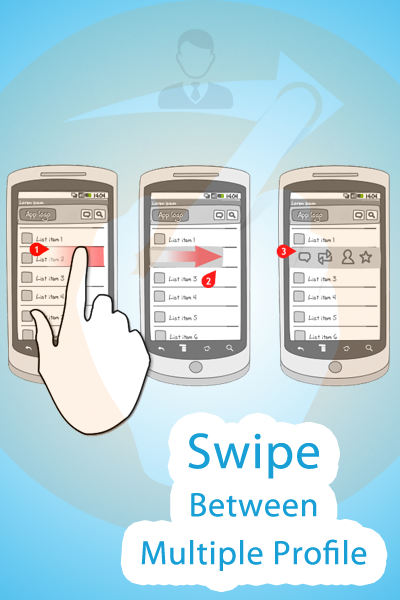 If you need a feature or a fully customized app, do not hesitate to contact us. Instead of making a SIP call, the app calls a local fixed line phone number in your country. This access number is attached to our servers. The Server accepts the call and forwards it using voip (SIP) to your provider. Before launching a call Pindo sends one encoded UDP packet to our server. This packet contains routing information, as the number you would like to call and via which SIP provider. This packet has less than 1 KByte but is transmitted more than once for reliability purposes. 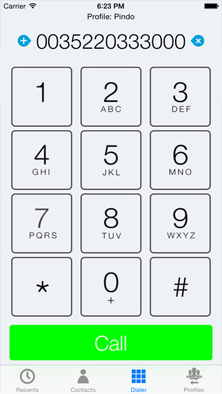 If not data connection is available Pindo uses DTMF/tone, still dialing, making the call without any needed interaction. You can add as many voip accounts as you wish. Once added you can swich between your identities with a simple swipe movement on the dailpad screen. Just push 99 in order to start the recording of your phone call. You will hear a small beep indication that the recording has started. Once the call is finished you will receive an SMS with a unique link to download the mp3 file. 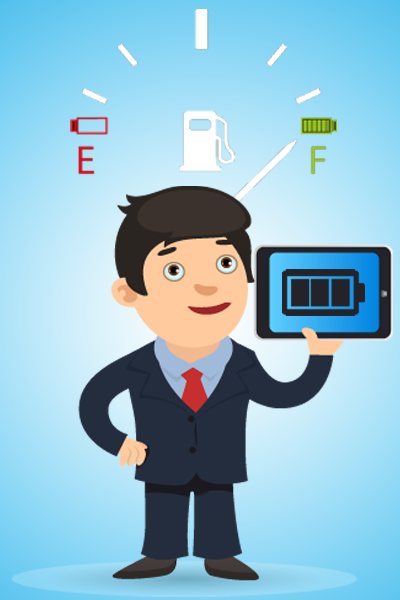 Battery is a rare ressource on smartphones and they rarely even last one day without recharging. Mobile phones exist since decades and are highly optimized to make mobile phone calls. 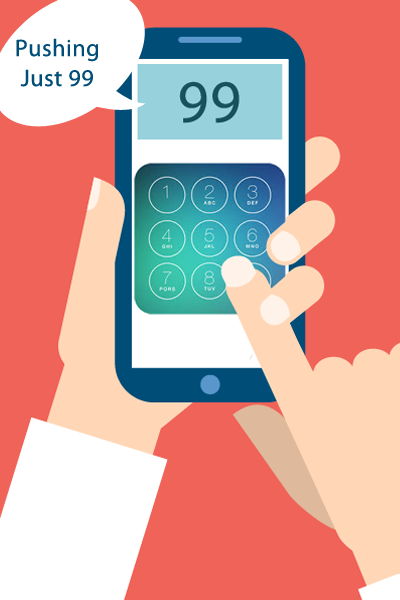 Those phone calls use 2-3 times less battery than the same call done via a voip app. Maybe voip on mobile is acceptable for a casual call from a hotspot in an hotel but people doing business calls and spending hours on their smartphones just need a better solution.